Grab your cowboy hat and give us a yee-haw for Helen Rollason Cancer Charity! 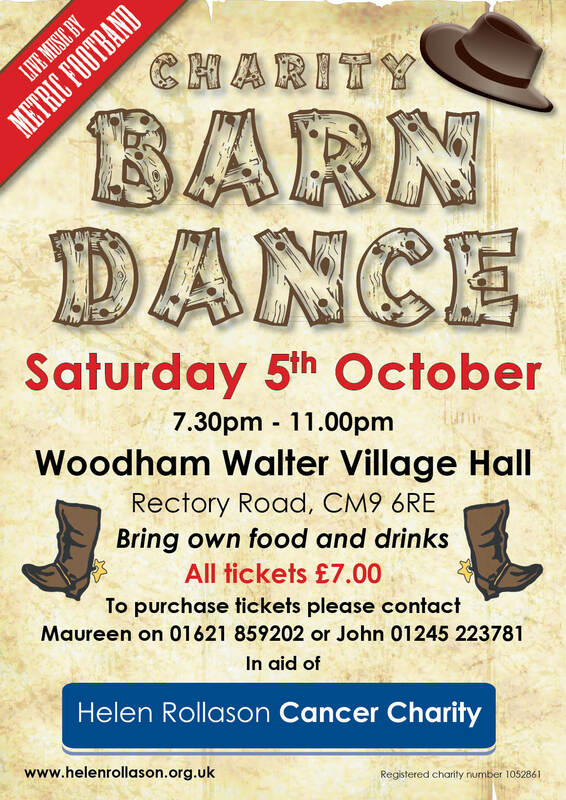 Fantastic fundraiser Maureen Patient-Saunders is hosting her popular bi-annual Barn Dance once again at the Woodham Walter Village Hall. Tickets are £7 each and can be purchased by contacting Maureen on 01621 859202 or John on 01245 223781. Please bring your own drinks and nibbles, and don’t forget to iron your shirt and polish your boots because there’s gonna be a hoedown!